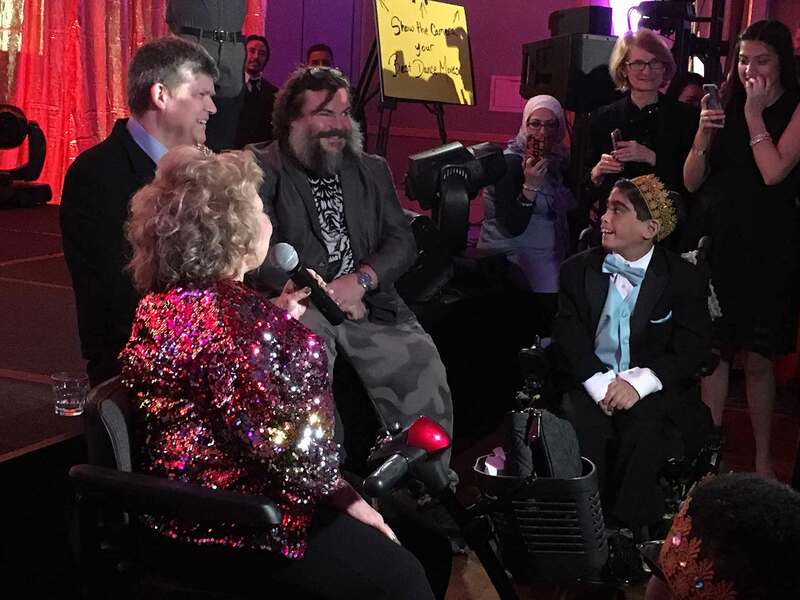 Glendale, CA – (January 21, 2019) – Over 200 teenagers and young adults, dressed to the nines, flocked to the 20th Annual Renal Teen Prom on Sunday, January 20, 2019 at the Glendale Hilton. The event created twenty years ago by Renal Support Network founder and president, Lori Hartwell offers an evening of fun, surprises and friendship for young people ages 14-24 who have had a kidney transplant, are on dialysis or living with chronic kidney disease. Jack Black, who has supported the prom for many years entertained the crowd then took the time to meet and chat with each young guest, take photos and sign autographs. Adding to the evening’s excitement were surprise appearances by actor Efren Ramirez (Pedro in Napoleon Dynamite), Brodie Olmos (Battlestar Galactica and son of actor Edward James Olmos) and astronaut Jose Hernandez, the first Latino man to go to space. The teenagers danced to music provided by DJ Sweet Baby J and were also treated to performances by We are Saved By The Band with Jimmy Bonez, and singer Ana Diamond. ABC7 anchor and kidney donor Phillip Palmer also stopped in for photos and to meet and greet the attendees. Senator Anthony Portantino and Assemblywoman Laura Friedman attended the prom and presented Lori Hartwell with a certificate of recognition in honor of the prom’s 20th anniversary. During the teenage and young adult years, when peer pressure it at its zenith, many youths who have kidney disease opt not to participate in school activities because they don’t always feel like they fit in. Hartwell wanted these teens to have the same opportunities that their healthy counterparts did, so she created the Renal Teen Prom. Hartwell’s prom welcomes teenagers and young adults aged 14-24. 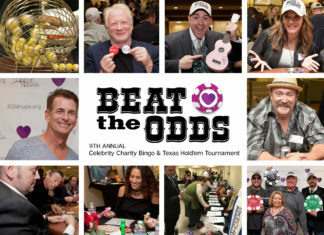 As it is an annual event, they can attend each year where lasting connections and new friends are made. Hartwell also ensures that each girl has a dress to wear, so she accepts dress donations all year long and has fittings with the girls prior to the event. Hartwell also ensures that those who need rides to the event and reside within Los Angeles and surrounding counties have transportation. Additionally, the event is free to attend, and Hartwell ensures that renal friendly foods are available. “I feel very fortunate that at this prom I’m able to meet so many wonderful young people. It’s great that Lori Hartwell has this great organization that gives us an opportunity to dance, enjoy a party, and just be accepted by others as we know what we are going through” proclaims Trent Sullivan. Renal Support Network thanks our 2019 corporate partners for their support of the 20th Renal Teen Prom. Gold: DaVita, Fresenius Kidney Care. Bronze: AstraZeneca and U.S. Renal Care. The Renal Support Network (RSN) is a nonprofit patient-run organization that provides nonmedical services to those affected by chronic kidney disease. 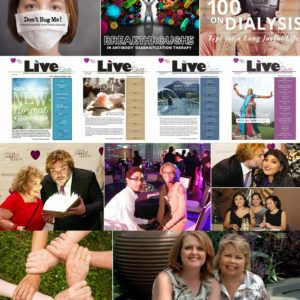 RSN strives to help patients (dialysis, kidney transplant, and newly diagnosed patients) develop their personal coping skills, special talents, and employability by educating and empowering them to take control of the course and management of their disease. RSN was founded by Lori Hartwell who is a kidney disease survivor since 1968.